Rewind to five months back, the venue being the Adelaide Oval. Newly crowned Test champions South Africa are in the midst of a much-awaited series in Australia, and a loss there would mean their dream of retaining the mace would be seriously short-lived. The visitors’ much-vaunted bowling attack did not do themselves a favour by hemorrhaging almost 500 runs on the first day itself, and from that point onward, not only were South Africa playing catch-up, but also the prospect of certain defeat was never more than a slight slip-up away. What followed was one of the most absorbing contests in recent times, and a memorable fourth innings. Francois ‘Faf’ du Plessis became a sensation on debut, staying at the crease for a little matter of 127 overs, scoring an unbeaten 110 to pull off an unbelievable heist of a draw with two wickets standing. Adelaide was rightfully ‘Faf’s Test’, but the man whom he joined at the crease with the score reading 45/4 (with 29 overs still to go on Day 4 alone) churned out a masterpiece of his own, an innings which was hardly expected from an athlete accustomed to being known as everything from flamboyant to innovative to spectacular. Adjectives you certainly do not want to hear when your team is in the process of attempting an act which could well be the cricketing equivalent of breaking out of Lurigancho. But Pretoria-born Abraham de Villiers is no ordinary athlete. Strike rate of 93 in ODI’s? Check. Audacious lap shots? Check. Saving a Test match for your country? Hell yes, check. Even by his own standards of adaptability and flexibility, his knock of 33 at Adelaide was eye-popping. It would not be false to say that even the most ardent of South African fans would have bet on a Day 4 finish, or at the most an early wrap-up on Day 5, when the ‘flamboyant’ de Villiers joined in du Plessis, a debutant hitherto known as a nothing more than a limited-overs specialist. De Villiers knew he had to turn to his alter ego to have a semblance of a chance of surviving against a pumped up Peter Siddle and a tricky Nathan Lyon. To make matters worse, there was not the ever-assured presence of Jacques Kallis – who had been injured – at the other end. De Villiers played the first ball he faced from Lyon calmly in front of short-leg, and had actually got off to a ‘quick’ start, getting his first three runs off as many balls. How long would it last? He handled the situation with the classic ‘one ball at a time’ approach. Every ball, and by that I mean each and every ball was meant to be defended. South Africa had certainly no interest in a win, so de Villiers dug in with the increasingly impressive du Plessis at the other end. Deliveries outside off which on any other day would have been slashed ferociously were calmly left alone, again and again. This was attritional A.B instead of attractive A.B. Yet it was actually very pleasing to watch him battle it out against the hardened Aussies, and more so against his own natural flair. He was at last dismissed, 39 overs into the final day (a period where in collected 21 runs), bowled by Siddle when he took a half-stride forward and defended a little outside the line before it went back to rattle his off-stump. 33 off 220 balls, no fours no sixes (the most balls ever faced in a Test innings without a boundary), staying at the crease for more than four hours and 69 overs. Indeed, ‘Barnacle’ Bailey would have been delighted with that feat. And this, remarkably from a man who is much-feared for his ability to methodically make mincemeat of the best of bowlers in the closing overs of a limited-overs contest. 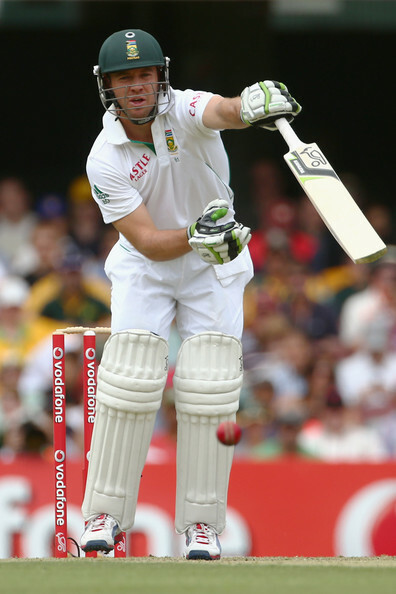 Du Plessis meanwhile remained there till the end, but de Villiers’ contribution could hardly be overlooked. If at Adelaide he proved that he is a Test batsman of the highest class, in the next Test at Perth he confirmed that there is possibly no other batsman who could adjust with such effortless ease to the fast-changing circumstances of today’s game, played across various formats, conditions and locations, though his team-mates Hashim Amla and Jacques Kallis come close in this regard. Just six days after his amazing vigil, he produced an innings which was a complete antithesis. 33 off 220 to save a Test? Check. 169 off 184 to pulverise the Aussies at the WACA? Check. At times his team’s run-rate in the second innings was more than seven, and it was no surprise that South Africa retained the mace with a 309-run thrashing of a victory against a home side weakened by the loss of their top fast bowlers following the wear-and-tear endured at Adelaide. 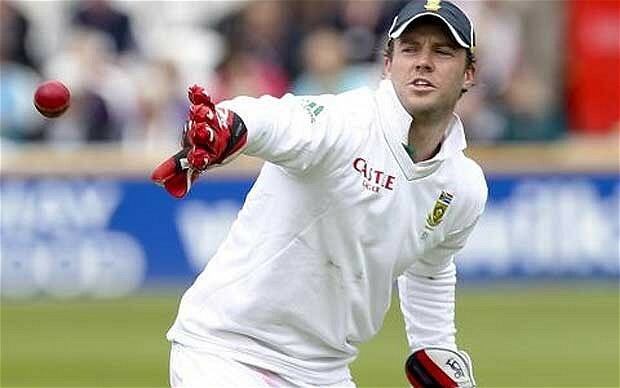 Ever since that hard-hearted bail found a way into the great Mark Boucher’s eye in England last summer, South Africa’s wicketkeeping duties have fallen solely on de Villiers. There were lingering doubts as to his ability to handle two key roles – that of the custodian behind the stumps and of a middle-order pivot in front of them. However this extraordinary cricketer has extinguished every single apprehension that ever existed with his continually world-class performances in all formats. In the home season against New Zealand and Pakistan, he passed 50 on five out of seven occasions averaging 78, and also effected 26 dismissals, including 11 (all catches) at Johannesburg against Pakistan, which gave him the joint world-record for the most dismissals in a single Test match. His recent ODI showings have also been remarkable – he has passed 65 five times in his last seven games, averaging close to 90. It seems that the responsibility of handling dual duties – not to mention the ODI captaincy – has even bettered his game, which is not in the least surprising, given his confident, enthusiastic and competitive approach to every match he plays. 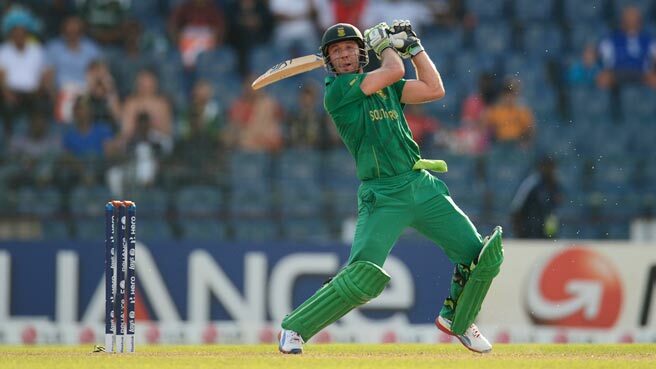 At the age of 29, de Villiers has already played 85 Tests in an eight-year career – he has not missed a single Test since his debut in 2004-05, this ongoing consecutive run being a South African record – and has also once held the record for the highest score by a South African when he made 278* against Pakistan at Abu Dhabi in 2010-11 before it was eclipsed by Amla’s triple at the Oval last summer. Interestingly his statistics – averages to be precise – tell a lot of his versatility across formats. He averages 50.5 in Tests, 50.38 in ODI’s, 49.7 in first-class cricket and 49.91 in List A cricket. He averages 41 in home Tests, but nearly 56 overseas, which is another indicator of his penchant to score runs just about everywhere, indeed both his double hundreds have come in the sub-continent. As far as calendar year averages go, he has averaged upwards of 47 in Tests every year since 2008, and upwards of 51 in ODI’s every year since 2009. He also holds the Test record for the most innings before a first duck, a run of 78 innings. In 2009 he was nominated as ICC Cricketer of the year and ICC Test Player of the year. Be it Tests, ODI’s or T20’s, be it a need to defend or a need to attack, be it a sensational one-handed catch out of nowhere – A.B de Villiers does it all, and does it bloody well. Injury-free Test career? Check. Diving run-out while lying on his stomach? Check. Lightning-quick running between the wickets? Check. 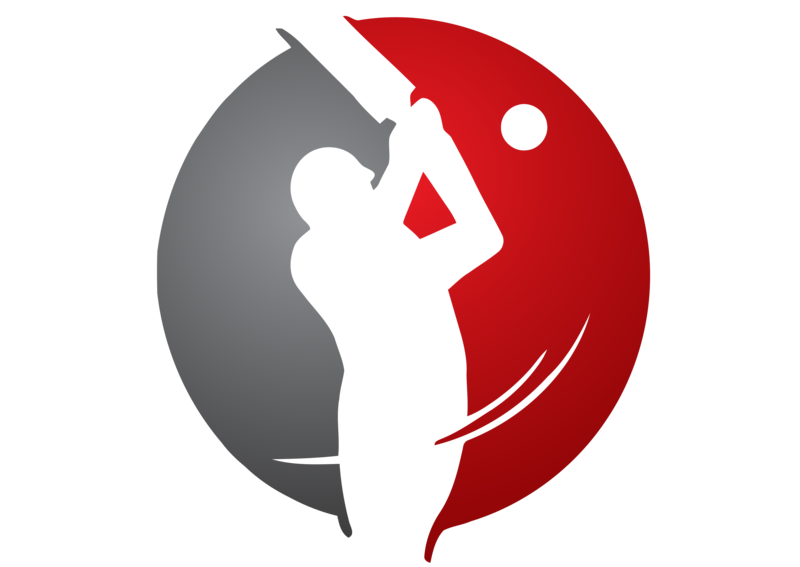 Excellent footwork against spin? Check. Slashing cover-drives, unorthodox scoops, classic sweeps, straight hits over long-on.. yes he can do it all. This extraordinary cricketer today is certainly the most versatile and consistent in recent times – it is always a delight to watch him in action. And his best years might just be ahead of him.